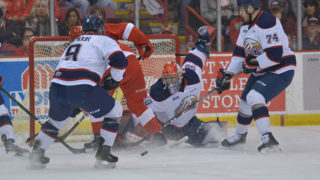 Soo Greyhounds General Manager Kyle Raftis announced a blockbuster trade involving the Erie Otters this afternoon. 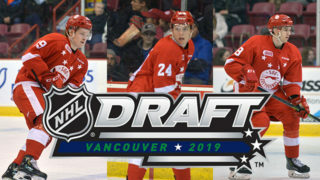 In the transaction, the Hounds acquire a pair of 19-year old NHL prospects in right-winger TAYLOR RADDYSH (Tampa Bay) and defenceman JORDAN SAMBROOK (Detroit). “We’re very excited to be able to add both Taylor and Jordan. Both are elite players in this league that come with championship pedigrees that should be great fits to compliment our existing group” began Raftis. 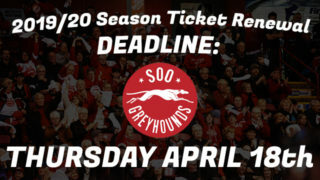 “This has been an exciting year in the Soo to date, and we feel having the opportunity to bring both of these players to our Program will not only bring talent and depth to our roster, but will be beneficial to the organization both on and off the ice” he continued. 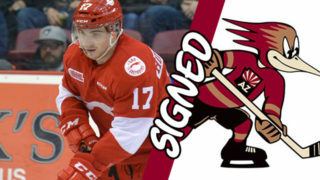 In exchange the Hounds send Hayden Fowler along with nine draft picks to the Otters; 6th Round 2018 (SSM), 3rd Round 2018 (SSM), 2nd Round 2019 (Flint), 2nd Round 2020 (Guelph), 2nd Round 2021 , 6th Round 2021 (SSM), 2nd Round 2022 (SSM), 2nd Round 2023 (LDN) and 3rd Round 2023 (SSM). 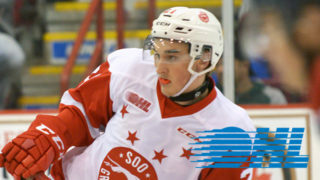 “Hayden has been a great Soo Greyhounds from day one. He was an integral part of our club’s success to date this season It’s always difficult to move a player that you know is going to be a special player in this league, and we thank him for his contributions to our Program and wish him all the best in his career” concluded Raftis. Raddysh joins the Hounds following a gold medal performance alongside fellow Greyhounds Boris Katchouk and Conor Timmins at the 2018 IIHF World Junior Hockey Championship that finished last night. 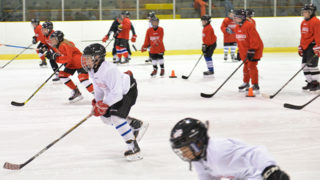 At the tournament Taylor had 2 goals and 3 assists (5 points) in seven games played. It was his second straight appearance at the tournament. Throughout his 4-year OHL career, the Caledon, ON native has averaged over a point-per-game tallying 253 points (102g, 151a) in 213 games played. One season ago he was just one of three OHLer’s to record 100+ points, grabbing 42 goals and 67 assists (109 points) in 58 games played. Sambrook, a right-shooting defenceman, is in his 3rd season in the OHL. The Markham, ON native has 91 points in 166 career games played while this season he was the 2nd-leading defenceman scorer with the Otters before the transaction. The duo both bring significant Major Junior success with them to the Hounds, as both were members of the 2016-17 Otters club that claimed the OHL championship (J. Ross Robertson Cup) before advancing to the 2017 Mastercard Memorial Cup final.